Today, with the release of Go 1, a stable version of the Go language, libraries and tools, we're releasing a new Google App Engine SDK for the Go runtime. Go is a statically typed, compiled language with a dynamic and lightweight feel. With Go you get the efficiency benefits of being close to the machine–your programs compile to native code–with the productivity and quick turnaround of a scripting language. Go apps are easy to write, start fast, and run fast. There has never been a better way to build scalable high-performance cloud applications. 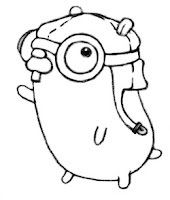 The Go runtime provides clean, idiomatic Go APIs for the popular App Engine services (Blobstore, Datastore, Memcache, and so on) and a straightforward development process. As with the Python and Java SDKs, Go apps can be tested locally with the development server and, most convenient, the development server automatically compiles your Go code, so to test a change all you need to do is to refresh your browser. The Go 1 SDK also brings improvements and bug fixes. It uses the new Go 1 time API throughout the SDK, provides a MultiError type for error handling in batch operations, and supports Datastore Cursors and the XMPP and Log services. See the release notes for the details. Although the Go App Engine runtime is still in experimental status for now, the language stability offered by Go 1 is a major milestone. 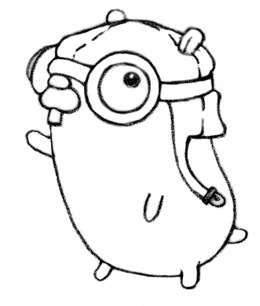 To learn more about Go 1, see the announcement post at the Go blog and the wealth of documentation at golang.org. I have been using the Go runtime since it came out of trusted tester (was using only Python before) and have been very happy with it. Compiles are quick and the low memory overhead is great for maximizing the value of F1 instances. its a gr8 news. I was using python till now. Thanks for taking the time to talk about this, I feel strongly about it and enjoy learning more on this topic. If possible, while you gain knowledge, would you mind updating your blog site with more information?